Organic waste has the potential to be used as a fuel. Fruit and vegetable trimmings such as potato peels and apple cores contain unharnessed energy. Biomass such as tree bark, sawdust, grass clippings, and even cow manure also have energy potential. Using a process called ‘torrefaction’, organic waste is heated to 300℃ in a low-oxygen environment for up to one hour. This breaks down the fibrous structure of the biomass, removes the moisture and turns it into a fuel similar to charcoal. Countries such as Kenya, Thailand, Sweden and Mexico are already using torrefaction to turn organic waste into fuel to generate electricity. 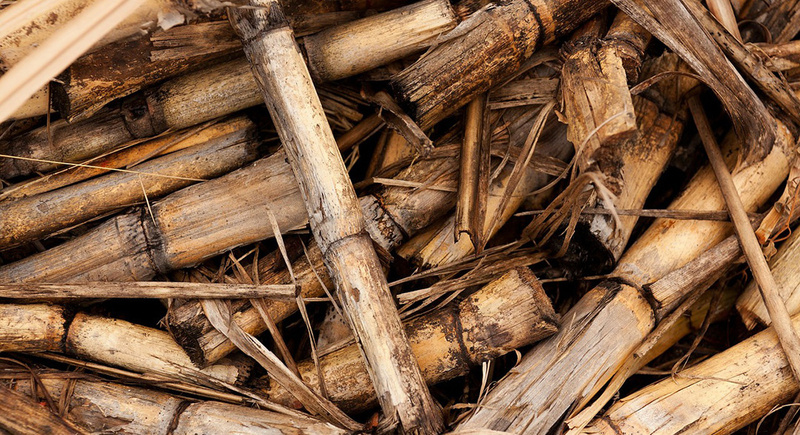 South Africa has proposed plans to build a biomass power station in Mpumalanga that will also use the torrefaction process, but no deadline on the project has been set. In a water-scarce country such as South Africa, water-intensive methods of energy production will soon be phased out. Coal mining and processing is an example of a water-intensive industry. Adding torrefaction of organic waste to the energy mix will reduce South Africa’s consumption of water. No water is needed to convert biomass into fuel through the torrefaction process. Water is used to irrigate trees, grass and crops, but this will happen whether or not the offcuts are used for biomass or if they are discarded. South Africa has a large agricultural industry, as well as successful forestry sectors that could provide the required organic waste to feed a power plant. This waste would be a renewable source of energy with similar properties to coal, but the industry is more environmentally-friendly and uses less water than mining. Existing coal-fired power stations could run on biomass without any major upgrades. The fuel produced through torrefaction has similar properties and energy content to coal. This means that it can be fed into the same systems as coal to produce electricity. Some biomass comes from edible foods, such as fruits and vegetables. The best ways to collect edible forms of organic waste would be to source it from food factories that discard sub-grade food products or to collect it from landfills before it decomposes. There is an excess of food waste around the world, and South Africa is no exception. Organic food waste could be a major source of biomass and when coupled with non-edible organic waste from the forestry industry, South Africa could source enough biomass for a power plant. Each year, Eskom uses about 90 million tonnes of coal for all of its power stations. South Africa would need about 140 million tonnes of organic waste to replace this coal. The collection of biomass from landfills and factories would need to be efficient and reliable to produce this amount of fuel, but it is a possibility. The environmental benefits of torrefied biomass for electricity production seem to outweigh the coal-powered systems currently in place. Not only will using organic waste save water and remove organic waste from landfills, but it will also result in cleaner energy production with fewer pollutants being emitted into the atmosphere.